Guess WHO joins the cast of ALTBalaji's Karle Tu Bhi Mohabbat! 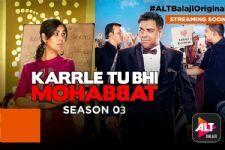 Third season of the series is currently being shot..
ALT Balaji's Karle Tu Bhi Mohabbat has managed to captivate audience's attention since Season 1. The series has a very engaging plot line and starrs Ram Kapoor and Sakshi Tanvar. Now they are presently working on Season 3, which is being shot. After their amazing chemistry and equation in Season 1 and 2, the audience is eager to watch them together on screen. 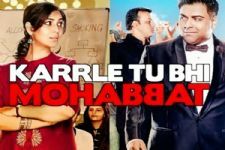 The story revolves around Karan Khanna(Ram Kapoor) and Tripurasundri Nagranjan(Sakshi Tanvar), two middle aged people who fall in love with each other and make each other better human beings. We all know that this Season will include a lot of new as well as important characters. 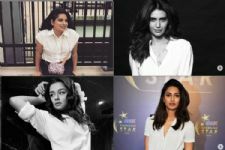 As reported earlier, actors like Hiten Tejwani, Vatsal Sheth, Karishma Tanna and Sandeep Baswana have been roped in by the makers. Now, there is one new addition to the cast and it's none other than Prem-Ya Paheli Chandrakanta actor Ira Maithy! The skilled and beautiful, Ira Maithy has been a part of few films and Tv shows like Super Cops V/S Super Villians and Prem ya Paheli- Chandrakanta to name a few, and now she's all set to impress viewers with her stint in this series. Iris will be a very essential part of the series and is currently shooting with the cast. 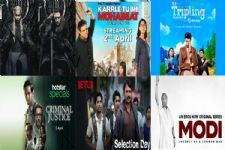 Season 1 and 2 of Karle Tu Bhi Mohabbat was very popular among the audience and hence we really look forward towards Season 3. Curious enough to watch the Season? Write us in the comments below. Sakshi tanwar has THIS to say about her and Ram Kapoor's chemistry! #BB 12: Guess Who Gets SAVED from Kaal Kothri This week? Hiten Tejwani all the best 4 kltbm season 3. Hopd we ghtians see a reunion of ght soon onscreen as main leads. You guys are too lazy to research even about an actress before copy pasting . It's Iris Maity not Ira Maithy. Please correct her name. Iris Maity is very talented but underrated actresses like several others. She deserves to be a lead in TV shows as she is better than several so-called famous actresses who have loads of fans. I did not watched Super Cops vs Super Villain but she was awesome and fantastic as Bichhoo Kanya Shyamala in Prem Ya Paheli Chandrakanta. She deserves to be a lead in TV shows.